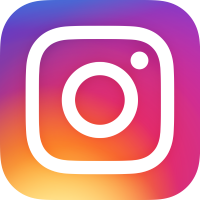 Threads is a 1984 BAFTA award-winning British television drama, produced jointly by the BBC, Nine Network and Western-World Television Inc. Written by Barry Hines and directed by Mick Jackson, it is a docudrama account of nuclear war and its effects on the city of Sheffield in Northern England. The primary plot centres on two families, the working-class Kemps and the middle-class Becketts, as a confrontation between the United States and the Soviet Union erupts and escalates. As the United Kingdom prepares for war, the members of each family deal with their own personal crises. Meanwhile, a secondary storyline with the Chief Executive of Sheffield City Council serves to illustrate the British government's then-current continuity of government arrangements. As the nuclear exchange between NATO and the Warsaw Pact begin, the film depicts the terrible details of the characters' struggles to survive both the attacks and their aftermath. The balance of the story outlines the fate of each family as the characters face the medical, economic, social and environmental consequences of nuclear war. Shot on a budget of �250,000�350,000, the film notably is the first of its kind to depict a nuclear winter. 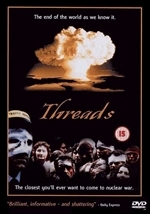 Certain reviewers nominated Threads as the "film which comes closest to representing the full horror of nuclear war and its aftermath, as well as the catastrophic impact that the event would have on human culture". It has been compared to the earlier programme The War Game produced in Britain in the 1960s and its contemporary The Day After, a 1983 ABC television film depicting a similar scenario in the United States.